You can made in large batch, frozen it and deep fry whenever you crave for some. 1. Heat oil in wok, add in curry leaves and onion. Saute onion until translucent then add in potato. 2. Cook until potato has changed colour on the edges then add chicken breast, stir fry for 1-2mins then add in curry powder and chilli powder. Add water and bring to boil. 3. Add salt, sugar, chicken powder & fish sauce to taste, then turn the heat down and cook until potato is soften and the liquid has reduced and form a dry paste. Cool completely before use. 1. In a large mixing bowl, bring 3 types of flours together and mix well. Set aside. 2. Rub in butter with flours until crumble, then add in cooking oil, to mix well. 3. 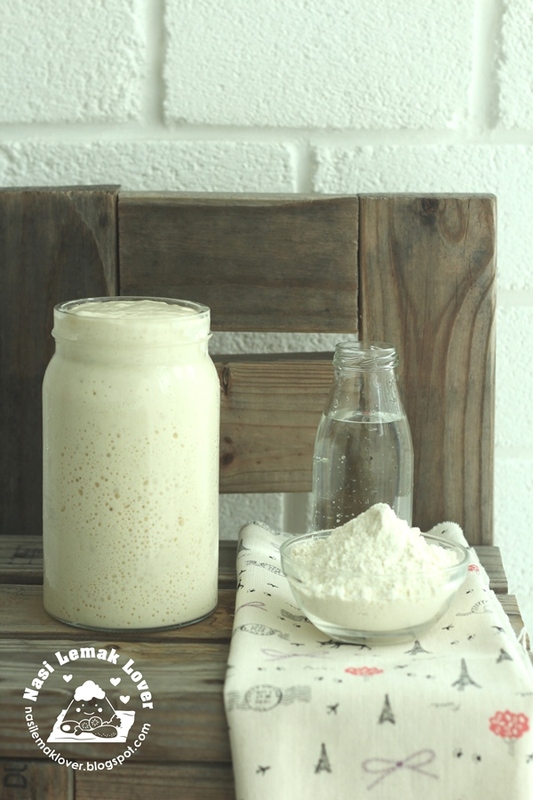 Pour icy cold water over flours, mix thoroughly with a wooden spatula in the mixing bowl. Then, lightly knead till soft dough, do not over work. 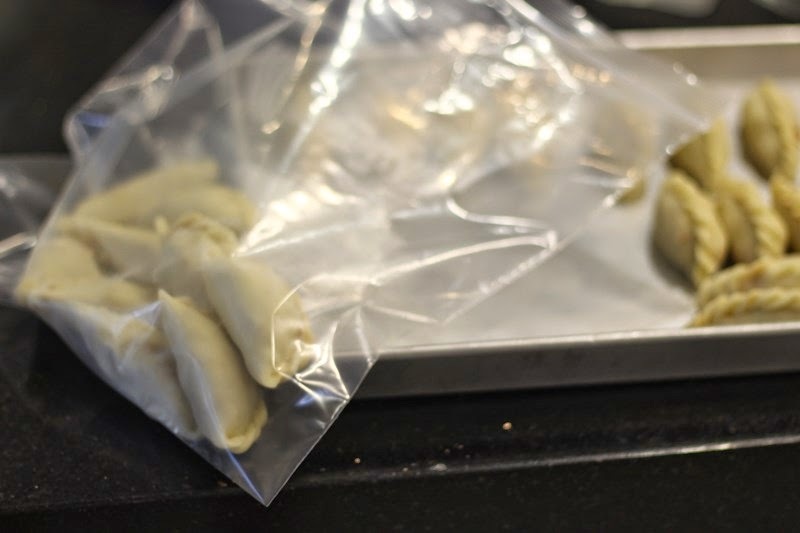 Cover dough with plastic wrap and rest for at least 15 minutes. To assemble- Divide and shape dough into 13g each ball. Then roll out each ball into a 8-10cm circle, wrap in potato filling. Pinch edges to seal, then deep-fry in medium hot oil until golden brown. You may refer to this video on how to pleat the edges. Wah, curry puff is so delicious, homemade version is the best with much more filling! Aiyoo....karipap panas-panas very sedap leh! I am craving for curry puff when I saw your post...delicious!!! This is almost everyone's favourite snack! anak-anak I memang sukakan kuih karipap.Selalunya I buat banyak dan simpan dlm peti sejuk.Mereka tak suka yang pusar tu. 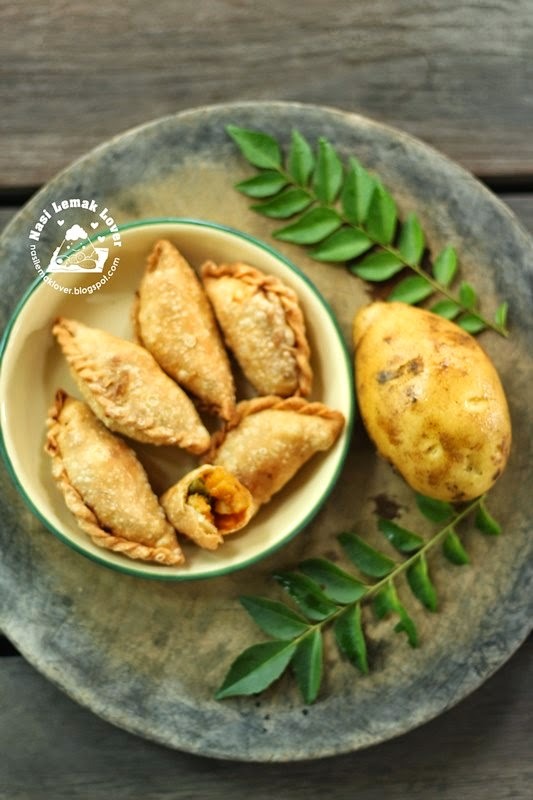 Sonia, you are my idol, just the other day, I left a message on Karen's blog, telling her that I have wanted to make curry puff but I don't know how to pleat. Thanks for sharing this clip and Ethan said he loves this video clip, haha. Sonia, my heart is 蠢蠢移动when you said this is simple method for karipap because i like simple thing,hehe...Like the beautiful pleats too. Yummy, puffs are always my fav. Vell explained. 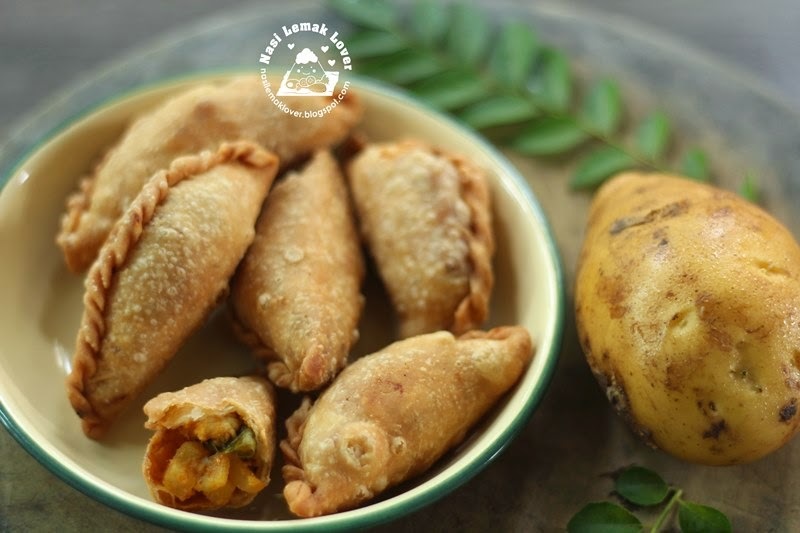 If I freeze the curry puffs after wrapping, do I have to thaw before frying them? Or can I fry the puffs in their frozen state? Thanks. I love curry puff but seldom deep fry at home. Will bookmark this recipe for kid's birthday. This is my old time favorites! Long time didn't eat this traditional local karipap already...now always buy the spiral type from a nice kiosk in Mid Valley:) Looking at yours make me want to give this a try too. 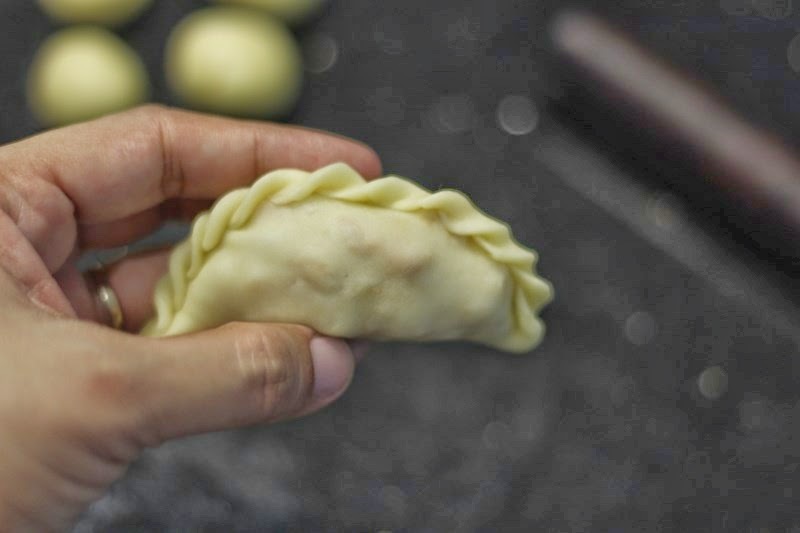 anonymous, you have to thaw the frozen curry puff first, but not completely thaw otherwise it will be too soft to be handled. Looks wonderful, Sonia! Wonder if we can bake this instead of deep fry? 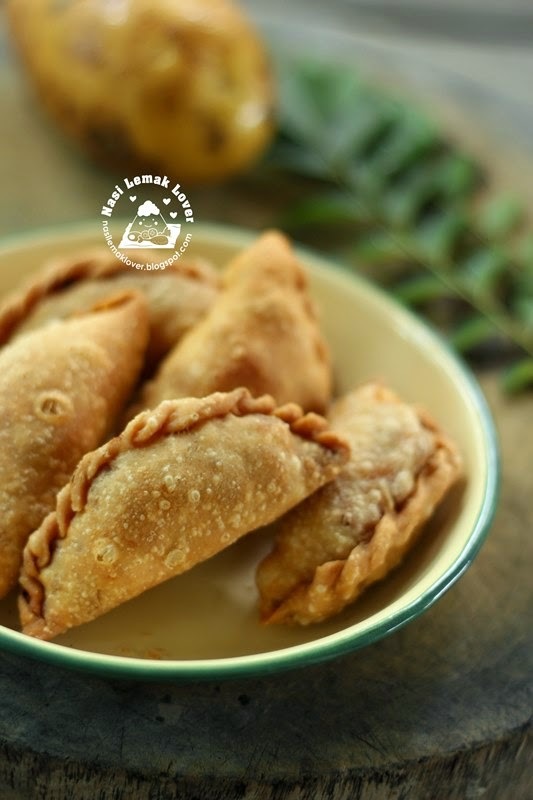 Curry puff looks super delish and is one of our fav snack. Even I make this simple version since it saves a lot of time. Hi Sonia, I tried out yr curry puff recipe today and they turned out delicious! The pastry is crispy (though I would like a little salt next time) and the filling is really good. But my curry puff shape is really awful.,hahaha! Still, I get a thumb up fr my girls. Yeah! Thanks for sharing this recipe. How long can I store the frozen puffs in the freezer? One mth?? Thanks for your recipe. It's really delicious, the crust is flaky and crispy. I managed to make 20 with the dough and had quite alot of leftover filling. I'll keep those for my next batch. Hi Sonia. Can I know what is rice flour? Glutinous rice flour? Hi Sonia, can I use the chili powder with chili paste instead? The chili paste is the one made followed your recipe "homemade Asian chili". I also want to froze the premade curry puff later. 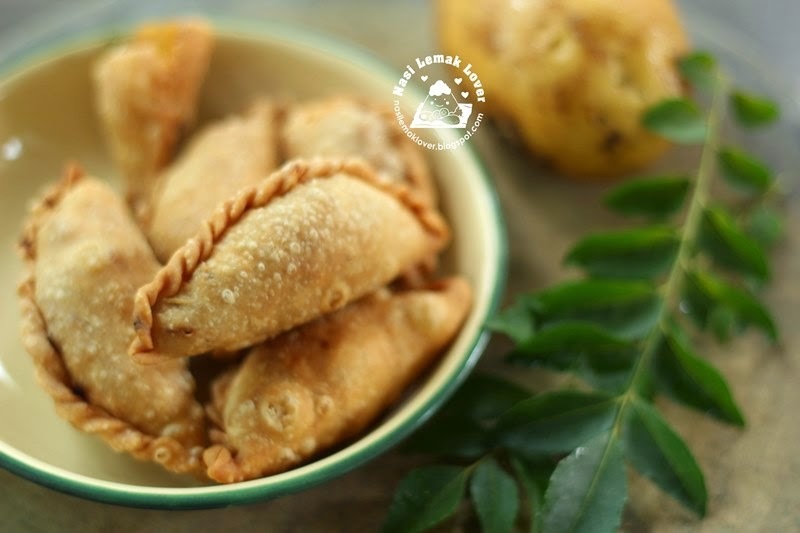 Will the chili paste caused the curry puff to stale easily if frozen it? Nic, rice flour is difference from Glutinous rice flour, you can easily get rice flour in the major supermarket. Baglicious, yes you can replace chili powder with chili paste . No i don't think it will caused curry puff to stale. Immediately store in the freezer once you have done it.